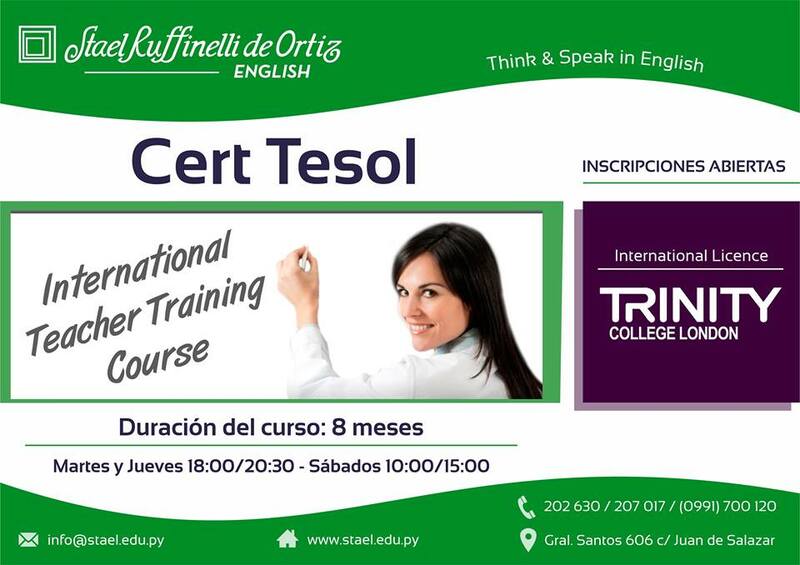 The Trinity Certificate in Teaching English to Speakers of the Other Languages (CertTESOL) is designed for professionals who are attracted to the English teaching profession, either as a long term or for a short period. Accredited by the Qualifications and Currículum Authority at Level 4 of the Uk National. Presentation of the Final Project before an Acredited Trinity College London Examiner. 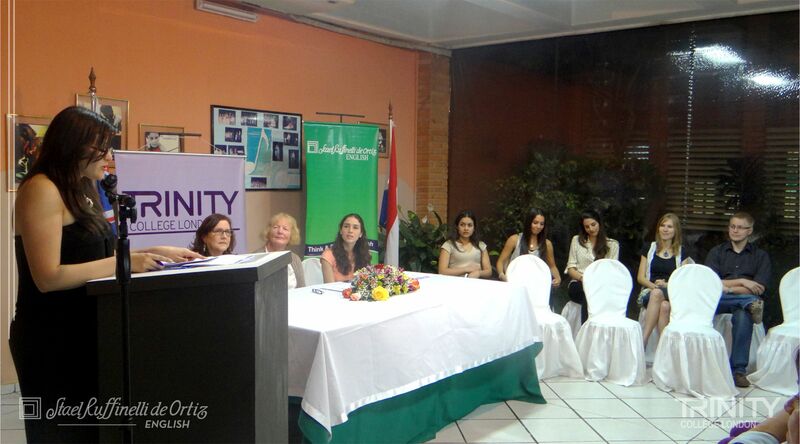 Inmediate incorporation to the work force in Paraguay and abroad. Trinity courses are open to all those for whom English is a first, a second or a foreing language. Your own use of spoken and written English will need to be of an appropiate standard for you to be a role model of English for your learners and help them understand the naturer of the language. Requirements include a minimum age of 18 and high school diploma. By the end of the course trainees are able to enter employment as teachers of EFL, confident in their teaching skills, their knowledge of language and in the background of the EFL profession. The course emphasizes the awareness of the teacher's role, as it is the teacher who sets the standard and the tone in the classroom. The supervision of trainees concentrates on the teacher's responsibility to understand the extent of his/her power, to be aware of the dynamics of the teaching process and how to relate to the students. The training runs from February to November. The course begins with an intensive introduction of 20 hours per week during the first month, followed by ongoing Saturday classes of 16 hours per month until the exam in November. 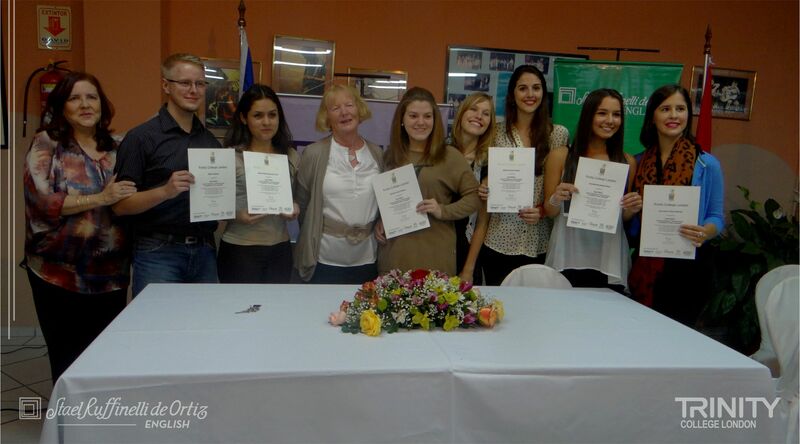 During the initial period trainees receive a special introduction to Paraguayan culture and learn what makes it such a unique and wonderful country.